On 7 March 2017, Pan African Space Station (PASS) hosted UK musician, composer, producer, DJ and neuroscientist Floating Points (aka Sam Shepard) LIVE at Guga S’Thebe Theatre in Langa. His DJ work and love for vinyl records has taken him all over the world, with Brazil and Japan favourite regular destinations. This Pan African Space Station (PASS) show will be his first trip to southern Africa and shall see Floating Points perform a vinyl DJ set using his rotary “travel” mixer to combine his own productions with a vast array of influences. 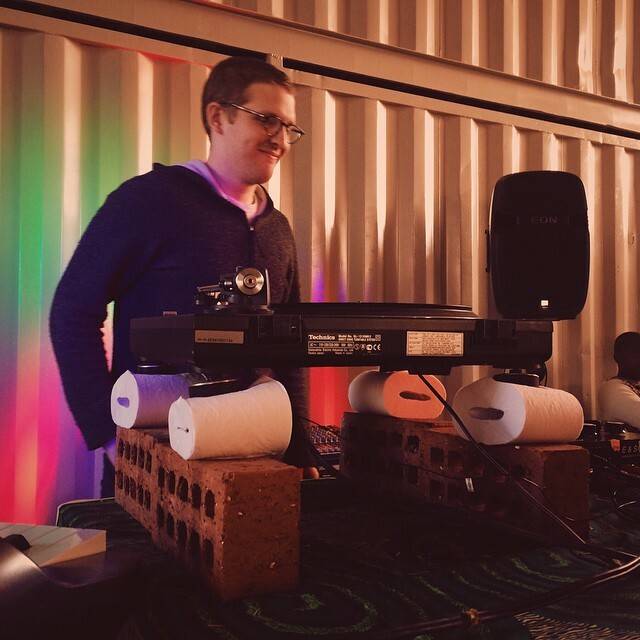 As co-founder of the independent label Eglo Records (with Alexander Nut), Floating Points has helped create and shape a cutting-edge platform for contemporary soul and dance music. Since 2009, he has released a score of much lauded singles, remixes and EPs which continue to cause crowds around the world to dance. Hits including ‘Vacuum Boogie’ and ‘People’s Potential’. His debut album is due later in the year and is set to introduce even more audiences to Floating Points’ distinct and highly inventive sounds. In 2014, Eglo Records released the exceptional singer Fatima’s debut album, Yellow Memories. Floating Points wrote four tracks on this LP, including ‘Do Better’ with Theo Parrish. This PASS performance was supported by the British Council, Connect ZA and New Music Connections grants and forms part of SA-UK Seasons 2014 & 2015 which is a partnership between the Department of Arts and Culture, South Africa and the British Council.